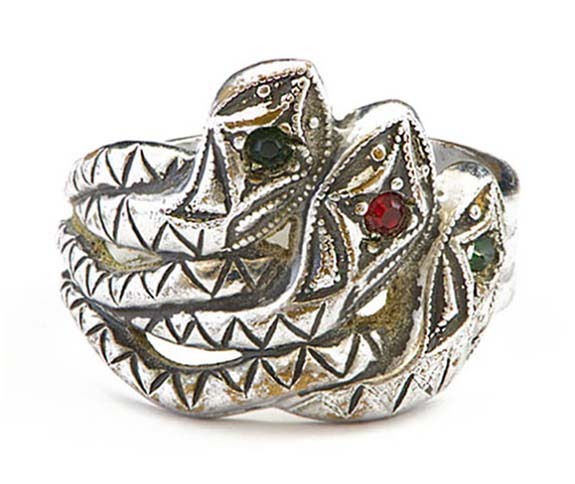 The bejeweled snake ring that outlaw Clyde Barrow crafted in prison for the love of his life and partner in crime, Bonnie Parker, is the subject of Monday's episode of Strange Inheritance, a primetime reality series on the FOX Business Network (FBN). Monday's episode titled "Crime Ring" recounts the story of legendary Texas sheriff Smoot Schmid and a ring that was recovered from a bullet-riddled ’33 Ford Model B after his shootout with the Bonnie & Clyde gang. The legendary couple fled on foot, escaping the police ambush despite wounds to their legs from the bullets that passed through the car. The failed ambush would be known as the "Sowers Raid." Left behind in the vehicle were a number of personal items, including a silver-tone promise ring in the shape of a three-headed snake. The heads of the snakes were punctuated with green and red jewels. Schmid and his associates kept the items for themselves and hid them away. 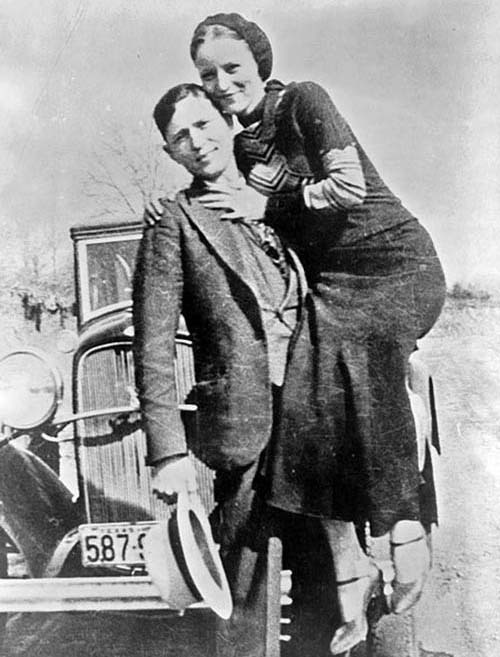 According to FBN, many years later, the sheriff's heirs, Debbie Daily and Diana Knowlton, stumbled across their grandfather’s scrapbook of crime scene photos, mug shots of Bonnie and Clyde, news clippings about the failed Sowers Raid, as well as original arrest warrants and a letter written by Bonnie and signed by Clyde. They also found an inventory list with one item in particular that caught their attention: a ring with three silver snakes. They searched for the ring for days and finally found it in the back of their grandfather's closet. When they were ready to sell their grandfather's Bonnie and Clyde loot, Daily and Knowlton contacted RR Auction executive Bobby Livingston in New Hampshire. 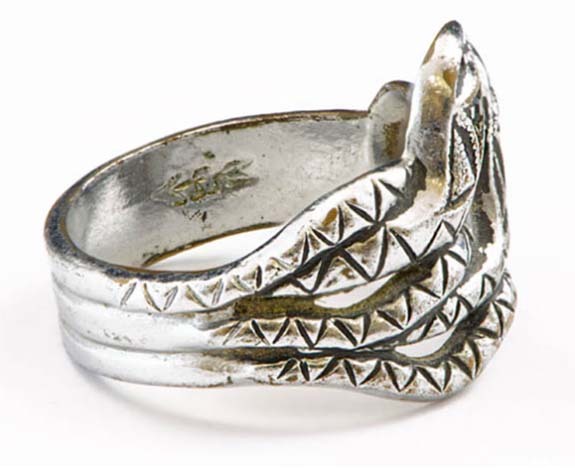 The auction took place in June of 2017, and the Bonnie Parker ring, Lot 2039, netted $25,000. Although Bonnie and Clyde were never formally engaged, the three-headed snake promise ring remains a powerful symbol of two of America’s highest-profile antiheroes. 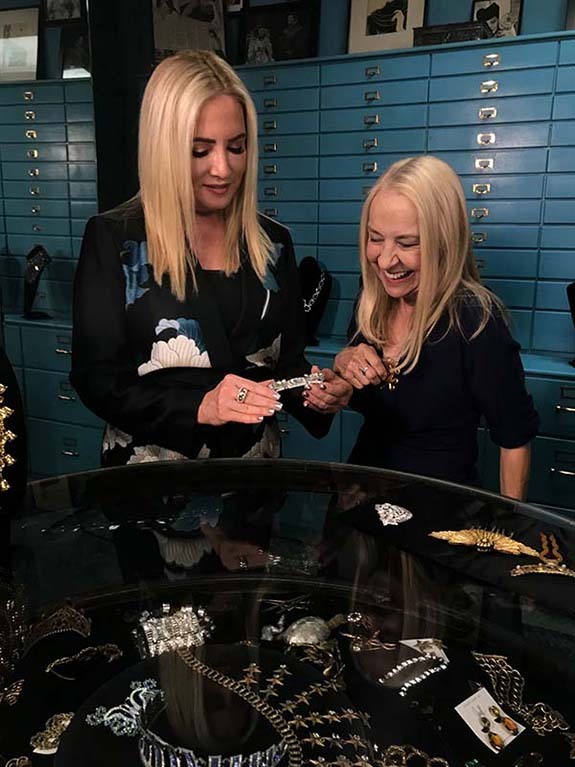 Hosted by FBN's Jamie Colby, the Strange Inheritance series chronicles the stories of inheritances from people and places from coast to coast. The show airs Monday, March 5, at 9PM/ET. In the photo, top, host Jamie Colby holds the "Crime Ring" as she interviews RR Auction executive Bobby Livingston. Credits: Top image courtesy of FOX Business Network. Jewelry images courtesy of RR Auction; Bonnie and Clyde photo by one of the Barrow gang [Public domain], via Wikimedia Commons. Welcome to Music Friday when we bring you new tunes with jewelry, gemstones or precious metals in the title or lyrics. 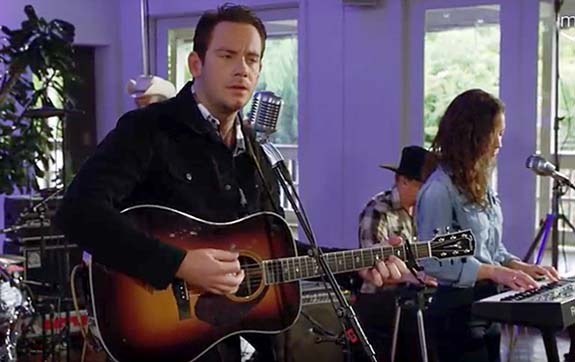 Today, country singer Sam Outlaw takes on the persona of a heartless lover in the 2017 song, "Diamond Ring." Featured a few weeks ago on Amazon's anti-Valentine's Day playlist, "Love Me Not," Outlaw's "slow, sad waltz" tells the story of a couple with conflicting opinions about the status of their relationship. She wants his "heart to surrender," but a long-term commitment is the furthest thing from his mind. He sings, "You want my heart to surrender / I see no courage ending life here / I see no reason at all / I see no diamond ring on your finger / I see no diamond ring on you at all." "'Diamond Ring' is about being a self-centered twenty-something," Outlaw told Rolling Stone magazine. "I'm no longer in my twenties, but the rest of that still applies to me pretty accurately." The 35-year-old has been performing "Diamond Ring" on tour since 2012, but the song made its "official" debut last year as the eighth track of Outlaw's second album, Tenderheart. "Diamond Ring" got another boost when a live version of the song recorded at the 2017 Americana Music Festival in Nashville was cherry-picked in February 2018 for Amazon's "Love Me Not" playlist. 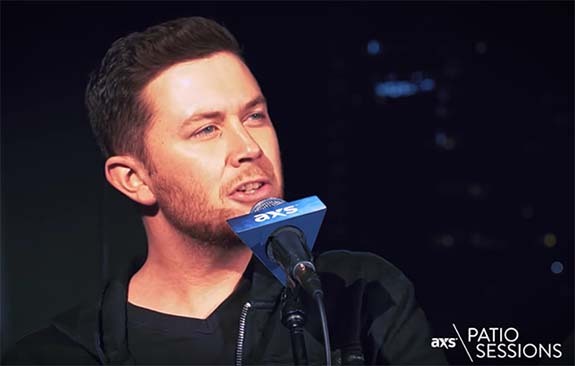 Born in Aberdeen, S.D., in 1982, Sam Morgan moved with his family to Southern California when he was 10 and borrowed his mom's maiden name, Outlaw, when he abruptly gave up a career in advertising to pursue his dreams of being a singer-songwriter. At the age of 30, he hit the road as a touring musician. Outlaw describes his music as "SoCal country." He told Rolling Stone that he's noticed that L.A.'s appetite for Southern culture has only been growing. "It's nice that now I can wear my Stetson to a restaurant," he told the magazine, "and not have people think I'm insane." Written and performed by Sam Outlaw. • Allison Williams, wore platinum by Harry Winston earrings with diamonds and a bracelet with sparkling cluster diamonds, all set in platinum. British superstar Ed Sheeran is proudly wearing an engagement ring and doesn't understand why the concept is considered so avant-garde. "I never saw why men didn't wear engagement rings," he told a reporter for Lorraine, a British lifestyle and entertainment TV show. "It's the same commitment either way. Cherry [Seaborn] made it for me herself out of silver clay. I really like it." 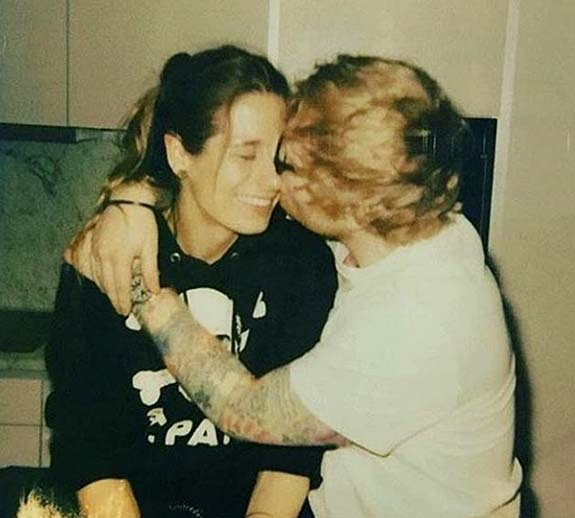 Sheeran proposed to Seaborn over the New Year's holiday and announced the exciting news to his 20.6 million Instagram followers on January 20. Not only were their cats pleased, but so were Sheeran's fans. More than 5.2 million of them "Liked" the 27-year-old singer's post. But, in the days following the announcement, reports started surfacing that the star was wearing a ring on "that" finger. Did they secretly tie the knot? Sheeran put that rumor to bed during a radio interview with Australian hosts Kyle Sandilands and Jackie O Henderson. "We didn't get secretly married," he stated. "No, she made me this ring out of silver clay, so we were both kind of wearing rings." His ring also serves another purpose: "It also means that nobody will know when we have gotten married," he said. The "silver clay" that Seaborn used in the fabrication of Sheeran's ring is a crafting material made of very small particles of precious metal mixed with a binder and water. It can be easily molded by hand into jewelry and then fired in a kiln. The binder burns away and only the precious metal remains. Unclear photos snapped by the paparazzi seem to show him sporting a very simple silver band made of this material. Sheeran and Seaborn have yet to announce a wedding date, but it was revealed that the British music man has submitted plans to build a Saxon-style chapel on the grounds of his Suffolk estate. 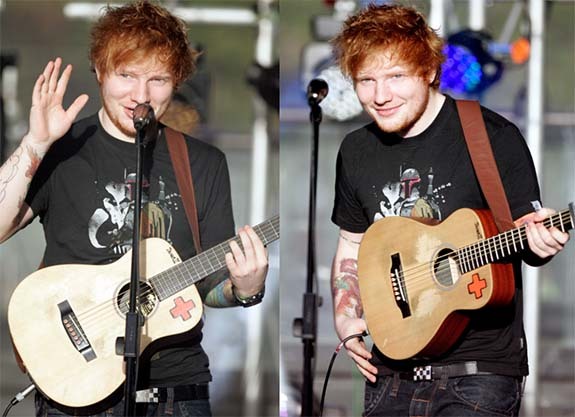 Credits: Couple photo via Instagram.com/Teddysphotos; Ed Sheeran images by Eva Rinaldi from Sydney, Australia [CC BY-SA 2.0], via Wikimedia Commons and Eva Rinaldi [CC BY-SA 2.0], via Wikimedia Commons. 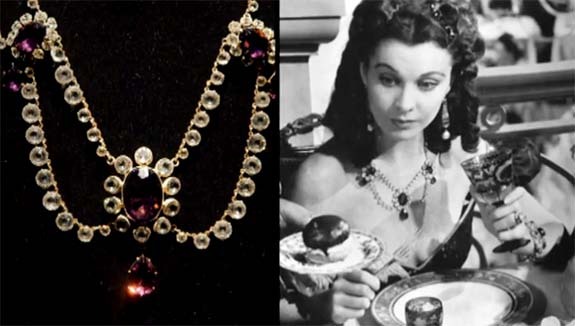 Here's a quiz: What do Vivien Leigh’s necklace from Gone with the Wind, Elizabeth Taylor’s serpent bracelet in Cleopatra and the earrings worn by Marilyn Monroe in Gentlemen Prefer Blondes all have in common? They were all created by Eugene Joseff's design studio under the brand name Joseff of Hollywood. These and other memorable pieces from Joseff's workshop are the subject of tonight's episode of Strange Inheritance, a primetime reality series on the FOX Business Network (FBN). 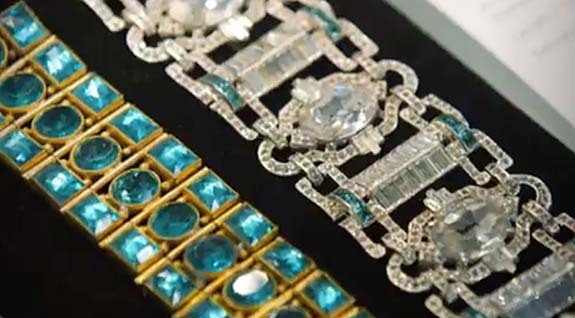 For many decades, Joseff's firm fabricated — but only rented — costume jewelry to the movie studios, and as each production wrapped up, the jewelry would be returned to the jeweler and secured in a vault. Over many decades, that collection grew to more than 200,000 items. Joseff died in 1948, and his widow, Joan, passed away in 2010 at the age of 98. All the “screen gems” were inherited by Joan's daughter-in-law, Tina Joseff, and Joan's grandchildren. 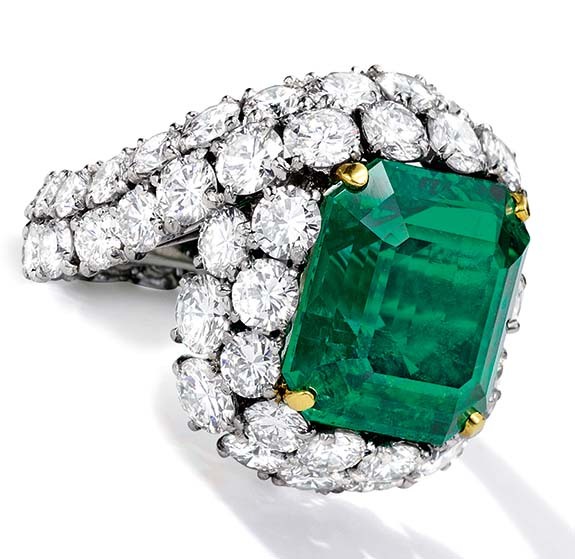 Five hundred high-profile items from Joseff's collection were put on the block at Julien's Auctions in Beverly Hills this past November — netting the heirs just under $2 million. 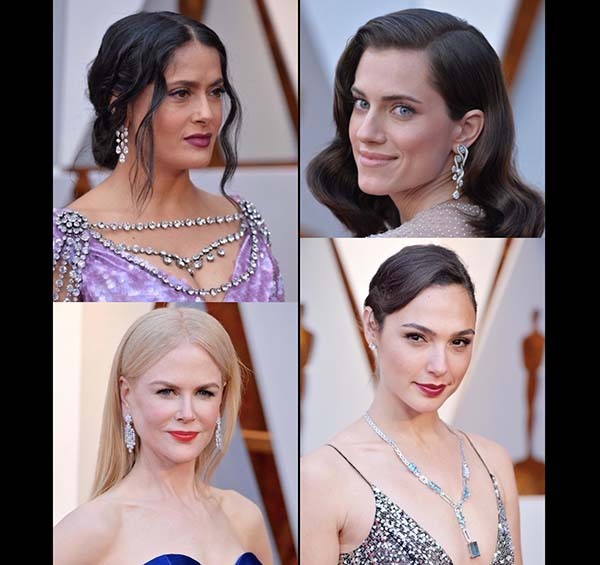 Among the biggest-ticket items were the Monroe earrings ($90,000), Leigh necklace ($45,000) and Clark Gable cigar box from Gone With the Wind ($31,000). A former ad man from Chicago, Eugene Joseff moved to southern California in 1928. Although he "dabbled in jewelry," according to Tina, Joseff's entry into the jewelry field stemmed from an off-the-cuff remark he made to a friend in the movie business. “He noted that in a period film the star was wearing a gorgeous gown — period correct – but also a modern necklace. He just thought that was the worst thing ever – and that he could do better,” Tina explains to show host Jamie Colby in Monday's episode. He soon got a chance to display his talents when a Hollywood studio needed baubles for a bunch of dancers. It was Friday and the order had to be filled by the following Monday. Nobody wanted the job — except for Joseff. Joseff fulfilled the request with flying colors and eventually became Tinseltown's crown jeweler. 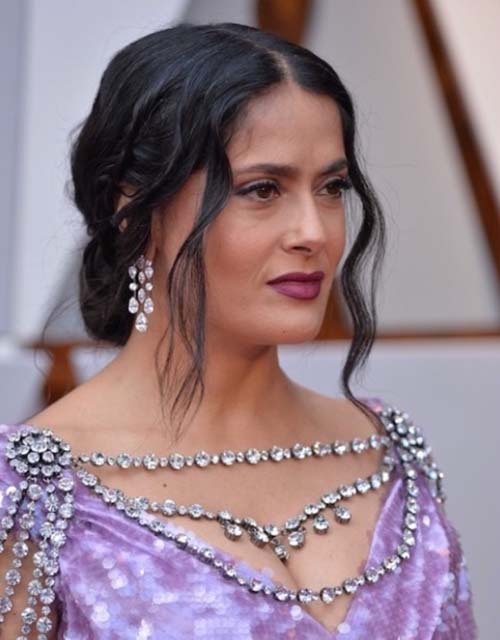 FBN noted that film buffs will likely recognize a number of the Joseff of Hollywood creations, including the Bette Davis tiara from The Virgin Queen, the Shelley Winters teardrop pendant necklace from South Sea Sinner and the Katharine Hepburn necklace of faux diamonds, rubies and pearls from Mary of Scotland. Viewers will also get a peek at the crown Shirley Temple wore in The Little Princess and a necklace that Greta Garbo wore in Camille. Strange Inheritance chronicles the bizarre artifacts and outrageous stories related to inheritances from people and places from coast to coast. The "Screen Gems" episode airs Monday, March 12, at 9PM/ET. In the photo, top, host Colby interviews Tina Joseff. Credits: Jamie Colby/Tina Joseff image courtesy of FOX Business Network. Screen captures via foxbusiness.com. Hidden Valley is honoring the upcoming nuptials between Prince Harry and Meghan Markle — and National Ranch Day — with a bejeweled bottle of salad dressing valued at $35,000. 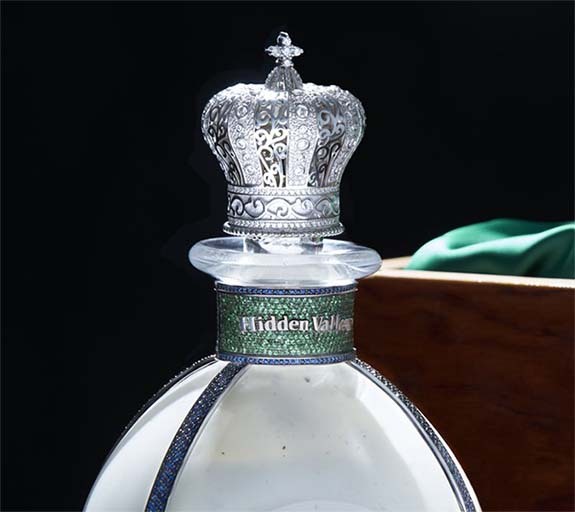 White diamonds punctuate the crown-shaped cap, while green and blue sapphires adorn the bottle's neck. Thin ribbons of blue sapphires hug the contours of the bottle on four sides, while a thicker ribbon of blue sapphires wraps around the bottom. All of the gems are set in 18-karat white gold. The blue bottle accents are a nod to the British Royal Family. 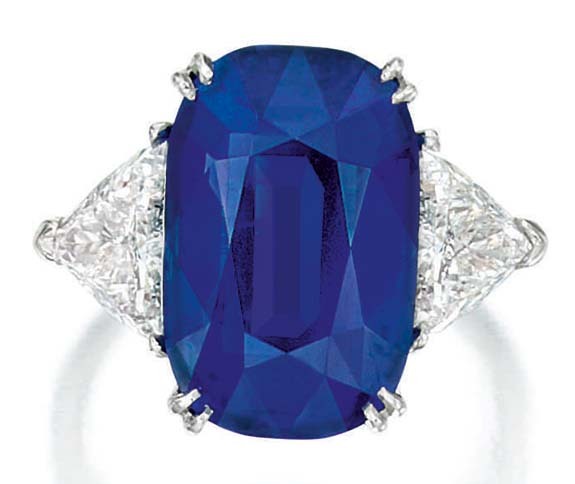 The late Princess Diana famously wore a blue sapphire engagement ring that was eventually passed down to her eldest son, Prince William. According to Hidden Valley, two of these blinged-out glass bottles were designed and fabricated by an A-list celebrity jeweler whose name could not be disclosed. Time.com reported that one of the bottles will be "sent on a journey overseas" but won't be delivered to the royal family. The second bottle will be the grand prize in a contest running now through May 19 (the date of the royal wedding) on Hidden Valley's Twitter page. "Renowned in these United States as the flavor that goes well with anything, Hidden Valley Ranch is honoring the great pairing of a fellow famous American with British royalty, as well as those who royally love ranch," the company commented in a press release. The Twitter-based contest was launched on National Ranch Day, which was celebrated on Saturday, March 10. Twitter users simply need to retweet Hidden Valley's contest announcement. As the company noted on its Twitter page, "FOLLOW & RETWEET FOR A CHANCE TO WIN! 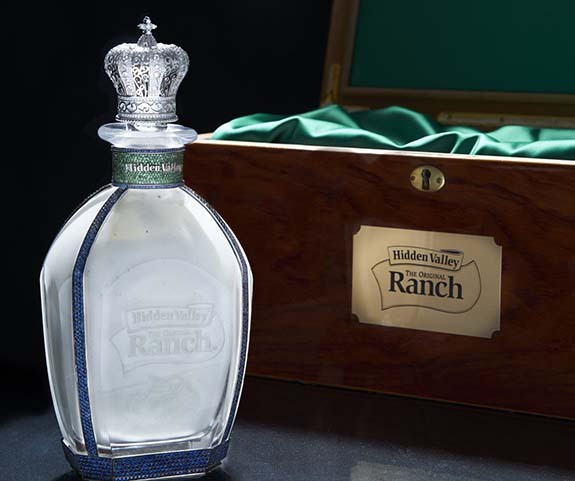 Nothing marks #NationalRanchDay like a real jewel-encrusted ranch bottle fit for people who royally love ranch." The prize will include a $15,000 check to offset taxes. The winner will be announced after May 19. Credits: Photos courtesy of Hidden Valley. The colossal 910-carat diamond recovered from the Letšeng mine in January was sold on Monday for $40 million. 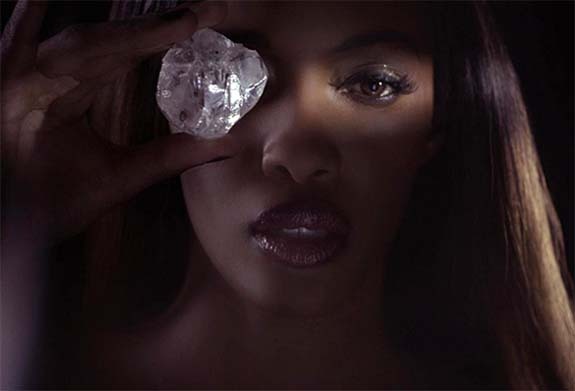 Dubbed the "Lesotho Legend" to honor its country of origin, the Type IIa, D-color rough specimen is the fifth-largest gem-quality diamond ever discovered. The Lesotho Legend also has the distinction of being the largest gem-quality diamond ever unearthed at Letšeng, a mine that has earned the reputation for being the highest dollar-per-carat kimberlite mine in the world. Despite having a land mass slightly smaller than Maryland, Lesotho is an international powerhouse when it comes to turning out huge, top-quality stones. Some of Letšeng's most impressive finds include the Lesotho Promise (603 carats), Letšeng Star (550 carats) and Lesotho Legacy (493 carats). 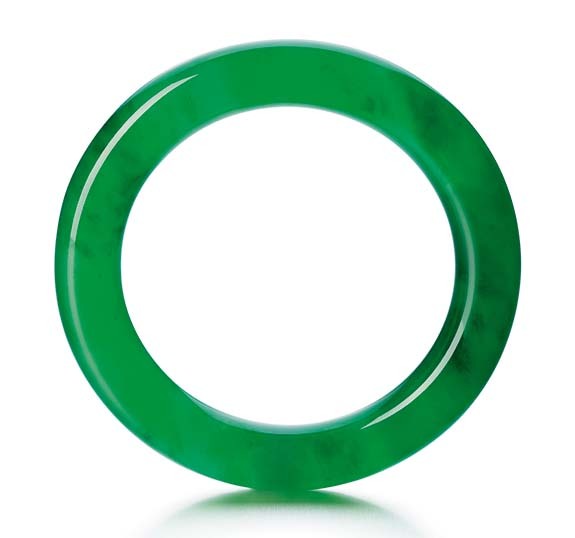 NationalJeweler.com reported that the Lesotho Legend was purchased at tender by Antwerp-based diamond supplier Samir Gems and other partners. The company will now face the challenge of mapping and cleaving the oddly-shaped rough diamond to yield the optimal number of polished diamonds while losing the least amount of carat weight. A rough diamond of 910-carats could result in 10 to 30 gem-quality polished stones of various shapes and sizes, according to experts. When Gem Diamonds Ltd. announced its discovery in January, we guessed that the rough diamond would sell for about $50 million. That estimate was based on the recent sales of huge diamonds exhibiting nearly identical characteristics. 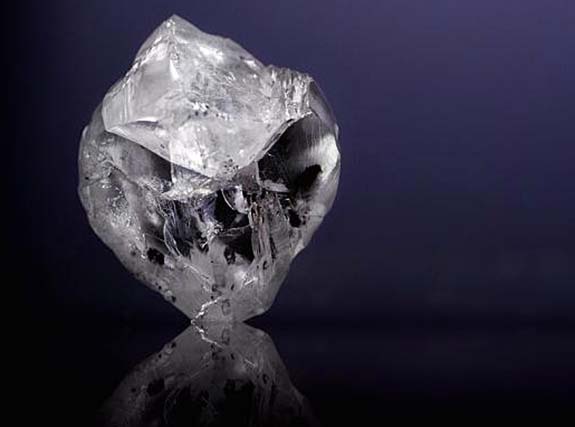 The 1,109-carat Lesedi La Rona (#2 on the all-time list) had fetched $53 million in September of 2017, while the 812-carat Constellation (#7 on the all-time list) was sold for $63 million in May of 2016. Both were D-color, Type IIa diamonds, which means they were colorless and chemically pure with no traces of nitrogen or boron impurities. In a statement, Gem Diamonds' CEO Clifford Elphick said, "We are delighted with the outcome of the sale of this iconic diamond, which demonstrates the exceptional quality of the Lesotho Legend itself, as well as reaffirming the unique quality of the Letšeng diamond production." United Kingdom-based Gem Diamonds Ltd. holds a 70% stake in the Letšeng mine with the government of Lesotho owning the remaining 30%. Credits: Images courtesy of Gem Diamonds Ltd.
Quick action and perfect timing are credited with saving $100,000 worth of diamond jewelry from a ghastly demise at the Hall County landfill, about 50 miles northeast of Atlanta. 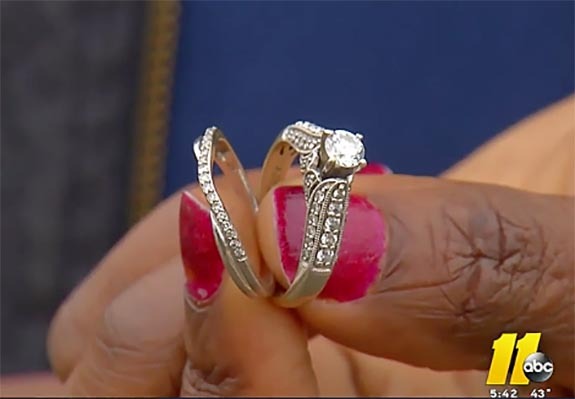 This past Friday, a Georgia woman (who wishes to remain anonymous) mistakenly threw away two diamond rings and a tennis bracelet. 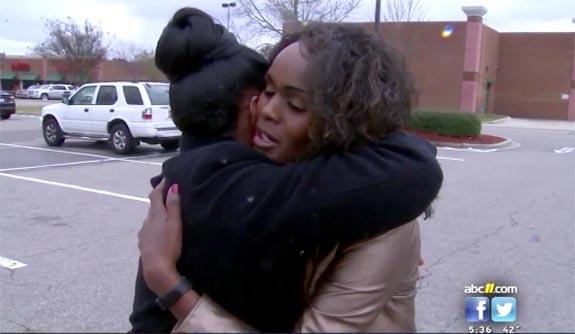 Even though she felt sick to her stomach when she realized what had happened, her timely call for help made all the difference in getting the jewelry back. 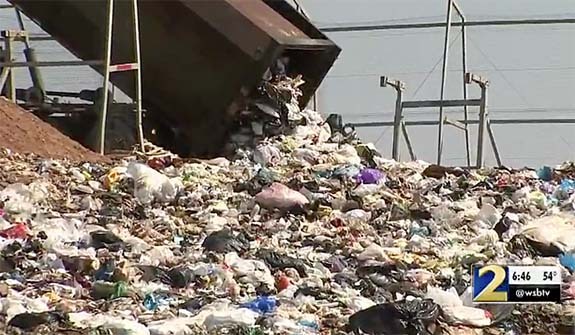 Had she alerted authorities just 15 or 20 minutes later, the garbage truck containing her precious keepsakes would have dumped its cargo at the face of the giant landfill and the jewelry would have been compacted into the ground. 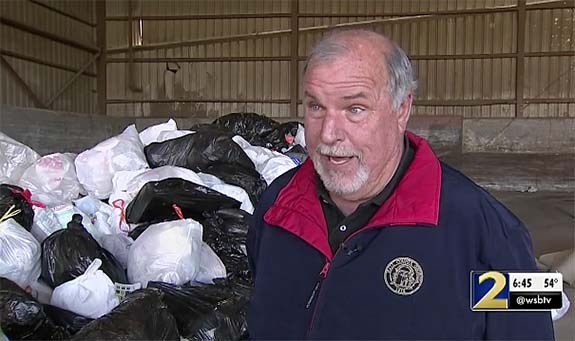 Instead, Hall County’s Solid Waste Director Johnnie Vickers was able to divert the truck to a sorting station, where five crew members tore through 10 tons of garbage. Their only clue was that the jewelry was in a black trash bag. Three hours later, with prospects looking gloomy, the treasure was found. 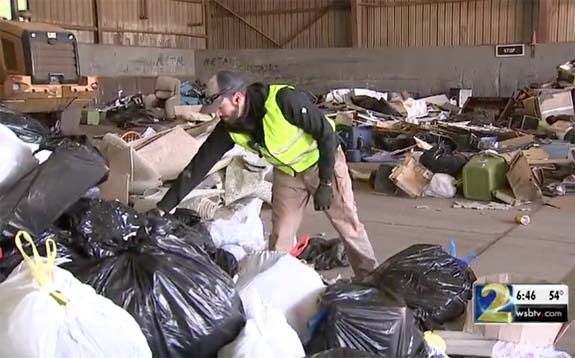 Sorting through a holding area containing 10 tons of trash from a single truck is much more manageable task than sorting through a landfill area, where convoys of trucks dump their loads for compacting. The solid waste director said that he receives one or two calls per week from frantic customers who have accidentally trashed valuable possessions, such as their keys, wallet or purse. 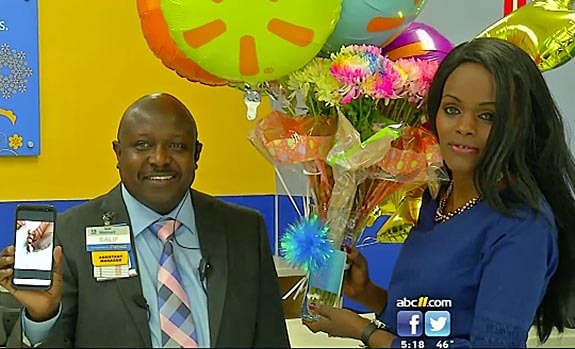 Credits: Screen captures via wsbtv.com. Gold, platinum and diamonds literally rained from the sky over the frigid city of Yakutsk in eastern Siberia last Thursday. The wild display of flying treasure — worth 21 billion rubles or $368 million — was attributed to the failed cargo hatch of a Cold War-era transport plane called the Antonov An-12. The aircraft was carrying gold bars, platinum bars and loose diamonds on behalf of Chukota Mining and Geological Company. 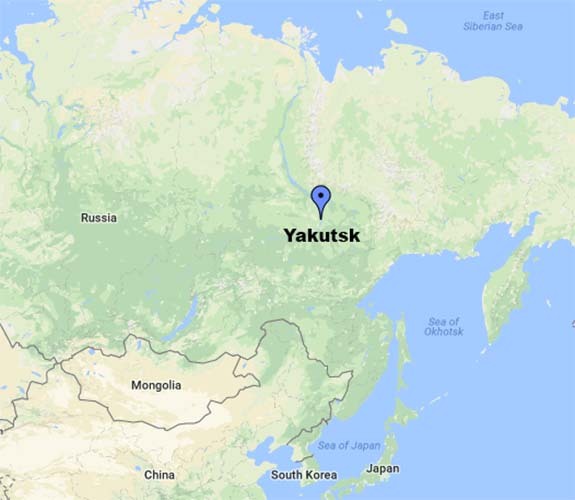 About 99% of all Russian diamonds are mined in Yakutia, where winter temperatures routinely hit -35C (-31F). According to The Siberian Times, the plane had been loaded with 10 tons of precious metals and gemstones when it lifted from Yakutsk airport. Shortly after takeoff, the heavy cargo shifted, ripping through the cargo door and damaging a portion of the fuselage. Nearly 200 gold bars fell from the plane, littering the runway with gold and platinum bars. The damaged plane continued to fly for 16 kilometers (10 miles) — dropping more treasure along with way — before landing at the nearby Magan airport. Russia's state-run TASS news agency reported that technicians who had prepared the plane for takeoff may have failed to properly secure the cargo. 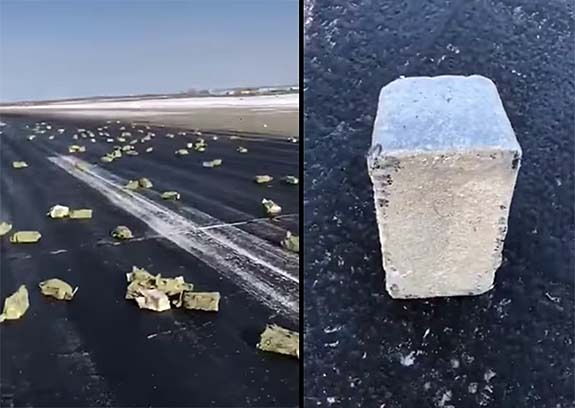 Police immediately sealed off the runway and began the task of retrieving about 3.4 tons of precious metal ingots. A typical gold bar weighs 12.4 kilograms or 27.3 pounds, so it is fortunate that nobody was hurt by the plummeting precious metal. Yakutsk, which is the capital of Yakutia or the Sasha Republic, is frequently cited as the coldest major city in the world. The Siberian Times had a little fun with that fact, tweeting, "It's -21C in Yakutia, sunny, we expect showers of diamond, platinum and gold... Plane loses its $368 million cargo; gems and precious metals rain over Russia’s coldest region as police and secret services stage emergency search." Credits: Screen captures via YouTube.com/The Siberian Times. Map by Google Maps. A tiny diamond found at South Africa's Cullinan mine is credited with preserving and ferrying an unstable, never-before-seen deep-Earth mineral 400 miles to the surface. Scientists at the University of Alberta's Department of Earth and Atmospheric Sciences discovered a minuscule sample of the elusive mineral "calcium silicate perovskite" trapped within the rough diamond that measured only .031 millimeters in diameter. It was polished to give researchers a clearer view of the inclusion trapped inside. Calcium silicate perovskite is believed to be the fourth-most-abundant mineral on Earth and makes up as much as 93% of Earth's lower mantle. Despite being so plentiful, scientists could only hypothesize its existence. Nobody could actually see it because the mineral's crystal lattice deforms as it moves toward the surface. While most diamonds are formed under intense pressure at a depth of 93 to 124 miles, the diamond encasing the calcium silicate perovskite was likely formed 400-plus miles below the surface. The pressure at that depth is equivalent to 240,000 times the pressure at sea level. Diamonds can be blasted to the surface during volcanic eruptions. The vertical superhighways that take the diamonds on their journey are called kimberlite pipes. The mineral's composition was confirmed by X-ray and spectroscopic analysis. Future research will focus on the age and origin of the material. 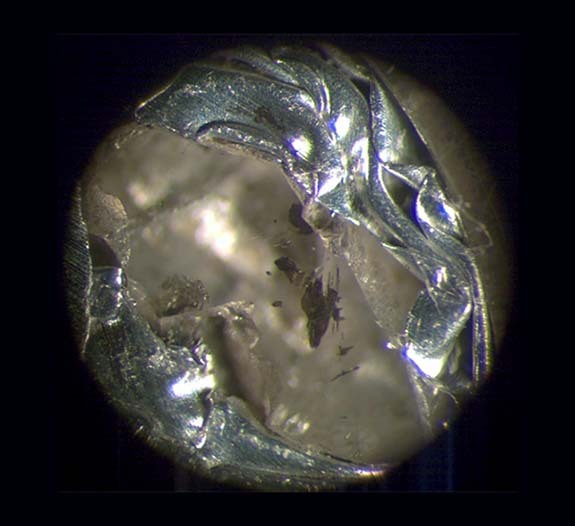 The scientists also noted that chemical clues found in the diamond reveal that it formed out of the remains of oceanic crust, supporting the theory that the Earth undergoes a recycling process that brings crust material into the deep mantle. 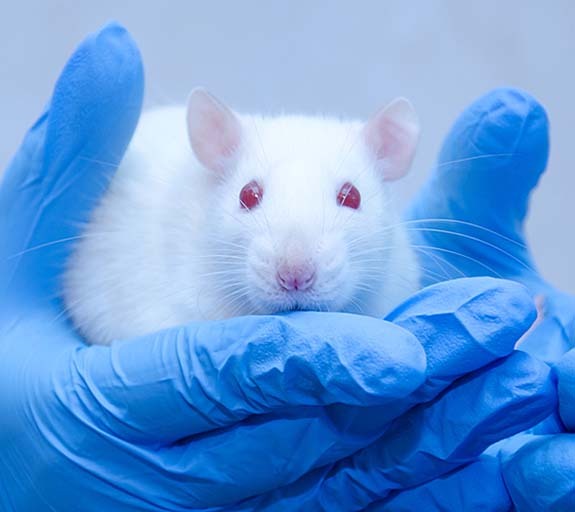 Researchers at the University of Alberta published their findings in the journal Nature. Credit: Image courtesy of Nester Korolev, University of British Columbia. Welcome to Music Friday when we bring you the hottest songs with jewelry, gemstones or precious metals in the title or lyrics. Today, Taylor Swift wants to wear her new boyfriend's initial on a chain around her neck in the introspective 2017 hit, "Call It What You Want." Written by Swift and collaborator Jack Antonoff, this deeply personal tune recounts how falling in love again helped her recover from a very dark time when her "castle crumbled overnight." She sings, "I want to wear his initial / On a chain round my neck, chain round my neck / Not because he owns me / But 'cause he really knows me." Her new boyfriend is British actor and model Joe Alwyn, and Swift has been spotted wearing a script initial "J" engraved on silver charm pendant. Following her split from Tom Hiddleston and an emotionally draining public feud with Kanye West, Swift stepped out of the spotlight to make new music and hit the reset button. What resulted was the 15-track Reputation, an album that topped the charts in 14 countries and sold more than 2 million copies in its first week. "Call It What You Want" is the penultimate song on an album that takes the listener of an emotional journey from rebellion and anger to true love. The single topped out at #27 on the U.S. Billboard Hot 100 chart and #24 on the Canadian Hot 100 chart. In "Love Story," she sings, "Romeo, take me somewhere we can be alone / I'll be waiting, all that's left to do is run / You'll be the prince and I'll be the princess / It's a love story, baby just say yes." In "Call It What You Want," she sings, "I recall late November, holdin' my breath / Slowly I said, 'You don't need to save me / But would you run away with me?' / Yes." Born in Wyomissing, Pa., Swift was not an average schoolgirl. By the time she was 11, Swift was already performing regularly at karaoke contests, festivals and fairs near her home in Berks County. When she was 14, her parents moved the family to Nashville, where Swift would be better positioned to pursue a career in country music. At the age of 17, Swift was topping the country charts. Swift is one of the best-selling music artists of all time, having sold more than 40 million albums and 130 million single downloads. She has won 10 Grammy Awards, one Emmy, 21 Billboard Music Awards and 12 Country Music Association Awards. Written by Taylor Swift and Jack Antonoff. Performed by Taylor Swift. 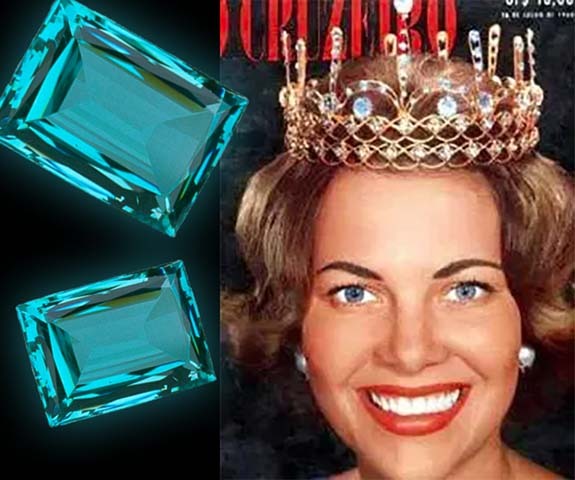 The 6.16-carat blue diamond originally presented in 1715 as a wedding gift to Elisabeth Farnese, Queen of Spain, has emerged on the market for the first time and will be offered for sale at Sotheby’s Geneva on May 15. It is expected to fetch between $3.7 million and $5.3 million. 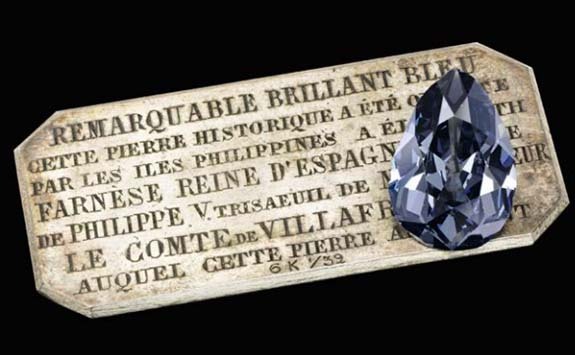 Sotheby's noted that the blue diamond was gifted to Farnese by the governor of the Philippine Islands on the occasion of her wedding to King Philip V of Spain, the grandson of Louis XIV, King of France. 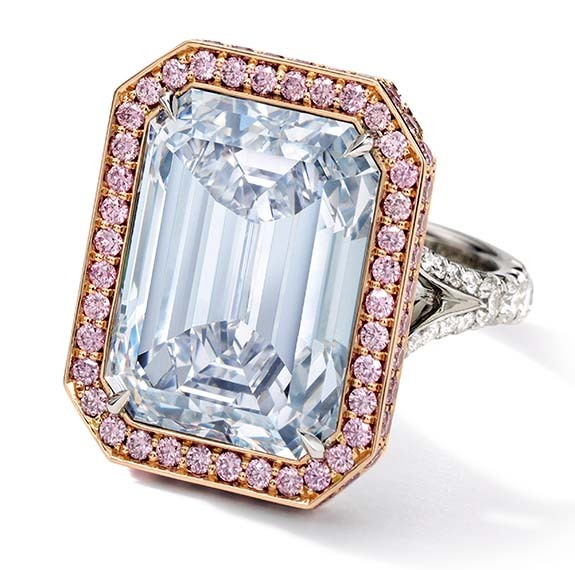 Blue diamonds were viewed as the ultimate royal gift in the 17th and 18th centuries because the color blue was identified as "the color of the kings." Even though it had remained in the same family for more than 300 years, "The Farnese Blue" was never seen in public. In fact, except for close relatives and the family jewelers, no one knew of its existence. 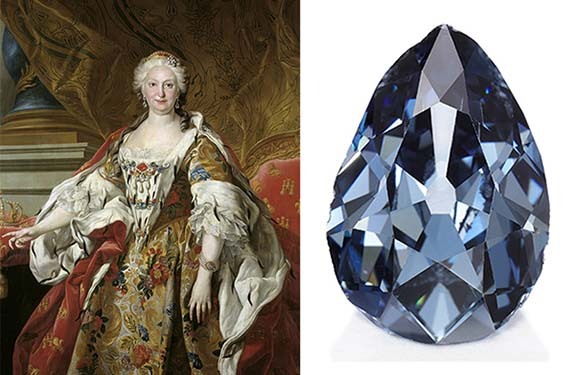 Secreted away in a "royal casket," the pear-shaped, fancy dark grey-blue diamond traveled across Europe, as Elisabeth and Philip’s descendants married into Europe’s most important dynasties. The "casket" likely refers to a rectangular jewelry box that is shaped like a casket, not a coffin. The gift from the governor of the Philippine Islands was given to the Queen at the urging of the Spanish government. Governors of Spain's colonies from Mexico to the East Indies were encouraged to send wedding presents to Madrid. In August of 1715, a fleet of 12 Spanish ships carrying a fortune in gold bullion and enormous emeralds set sail from Cuba, but were devastated by a hurricane in the gulf of Florida. Only one ship survived the voyage back to Spain, and that was the ship carrying the blue diamond. "The Farnese Blue" will embark on an international tour before returning to Geneva for the May 15 Magnificent Jewels and Noble Jewels sale. The diamond will make appearances in Hong Kong (March 29 - April 2), London (April 7-10), New York (April 13-17), Singapore (April 27-28), Taipei (May 1-2) and Geneva (May 12-14). 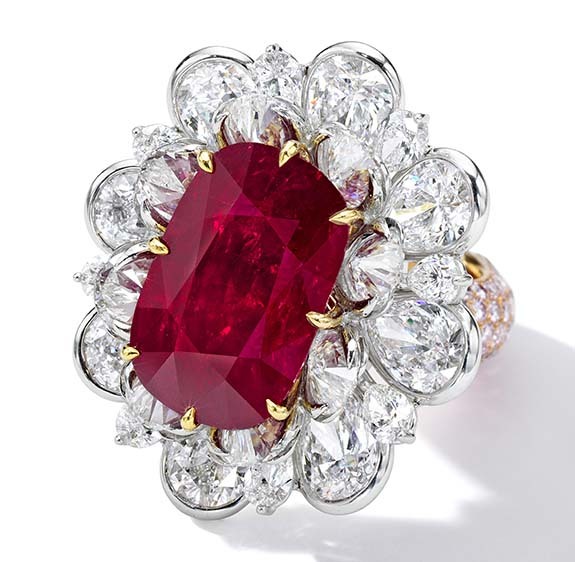 Credits: Diamond images courtesy of Sotheby's. Elisabeth Farnese image by Louis-Michel van Loo [Public domain], via Wikimedia Commons. 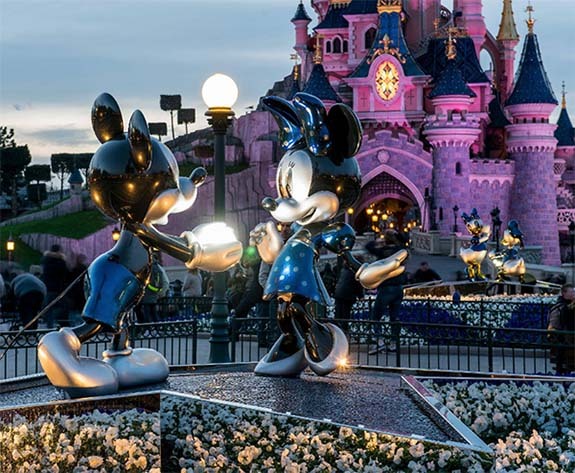 Located just a short skip from The City of Love, Disneyland Paris has been named the world's most popular place to pop the question. Wedding-planning website Hitched.co.uk reports that one in 500 proposals worldwide takes place at the Paris venue — and we're certain that many suitors staged their bended-knee photo op squarely in front of the picturesque Sleeping Beauty Castle. Hitched based its findings on the analysis of hashtags used on Instagram. For many couples, the first thing they do after celebrating their engagement is announce the big news on social media. The researchers at the wedding website analyzed the data from hashtags, such as #bridetobe and #engaged. They also used geotagging to define the most popular landmarks associated with engagement messaging. The results seem to confirm that a Disney Park is not only "the happiest place on Earth," but also the most romantic. Disney dominates the "Most Popular Places to Propose" list, placing three properties in the Top 10. Ranking #2 on the list is Walt Disney’s Magic Kingdom in Orlando, Florida (one in 555 proposals), and placing #8 is Walt Disney’s Epcot, also in Orlando (one in 1,428 proposals). Disneyland Paris offers a six-page brochure that promotes a "wedding proposal service" that promises to make your special moment "a magical affair" in the most fabulous of settings. The park can provide a dedicated representative to manage all the details of the proposal, including the perfect location, photographer and flowers. The representative also can schedule a romantic dinner with personalized table decorations, and reserve an enchanting room sprinkled with rose petals. Rounding out the Top 10 list of the Most Popular Places to Propose are #3 Centennial Lakes Park in Minneapolis, Minnesota (one in 625 proposals), #4 Eiffel Tower in Paris, France (one in 679), #5 The Hollywood Sign, Los Angeles, California (one in 1,000), #6 Central Park and Brooklyn Bridge, New York (one in 1,111), #7 Niagara Falls, Ontario, Canada (one in 1,250), #9 Big Bear Lake, California (one in 1,666) and #10 Bondi Beach, Sydney, Australia (one in 2,000). Credit: Image via Facebook/Disneyland Paris. Welcome to Music Friday when we bring you fun songs with jewelry, gemstones or precious metals in the title or lyrics. Today, ZZ Top ticks off a list of jewelry must-haves in its 1983 classic, "Sharp Dressed Man." 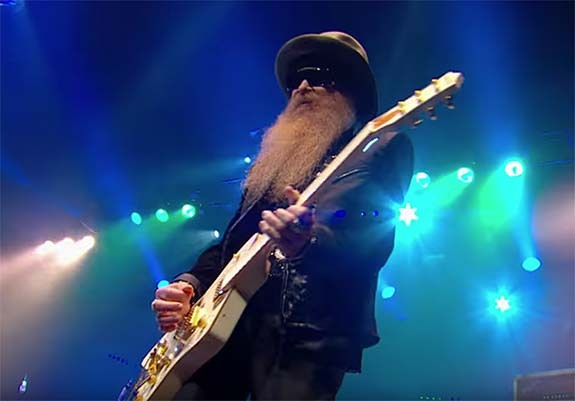 According to the song, well-dressed men are irresistible to women, so original band members Dusty Hill, Billy Gibbons and Frank Beard cover the essential jewelry items in the second verse. They sing, "Gold watch, diamond ring / I ain't missin' not a single thing / Cufflinks, stick pin / When I step out I'm gonna do you in / They come runnin' just as fast as they can / 'Cause every girl crazy 'bout a sharp dressed man." Written by Gibbons, Beard and Joe Michael Hill, "Sharp Dressed Man" appeared as the third track on ZZ Top's extraordinarily popular 1983 album Eliminator. 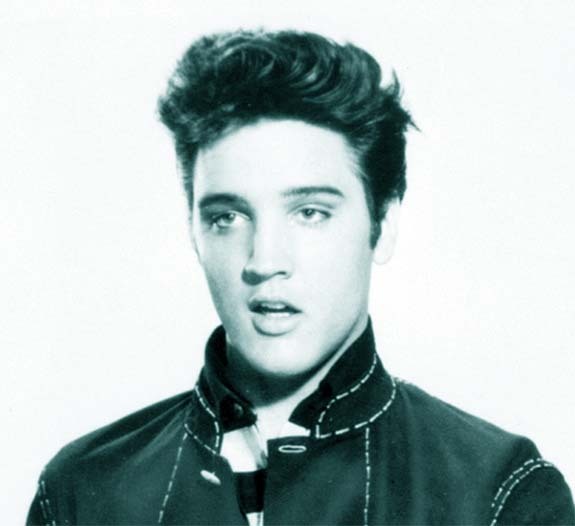 The album sold more than 10 million copies, earning it a rare Diamond certification. The single topped out at #56 on the U.S. Billboard 100 and remains one of ZZ Tops' most enduring signature songs. In fact, the group performed it live at the 1997 VH1 Fashion Awards and during the halftime festivities of the 2008 Orange Bowl. "Sharp dressed depends on who you are," Hill told Spin magazine in 1985. "If you're on a motorcycle, really sharp leather is great. If you're a punk rocker, you can get sharp that way. You can be sharp or not sharp in any mode." Founded in Houston in 1969 as a blues-inspired rock band, ZZ Top has featured its three core members since 1970. Gibbons told Q magazine that their first gig at a Knights of Columbus Hall outside of Houston in 1970 was attended by just one person. "We shrugged and pressed onwards," he said. "We took a break halfway through, went out and bought him a Coke." Over the course of the following 48 years, the band would go on to sell more than 50 million albums worldwide. They were inducted into the Rock and Roll Hall of Fame in 2004. Trivia: According to songfacts.com, Gibbons and Hill have been growing their beards since 1979. Written by Billy Gibbons, Frank Beard and Joe Michael Hill. Performed by ZZ Top.